Creating and managing the best staffing supply chain takes experience, knowledge and process excellence. For more than two decades we have supported some of the largest, most recognizable names in business with our supplier management expertise. As a managed services provider and recruiting specialists, we know what it takes to fill jobs, manage relationships and perform to metrics and key performance indicators (KPIs). Our dedicated Supplier Relations team creates high-performing staffing supply chains by working with you and your suppliers to get you the best talent available. Our industry-leading tools, experienced supplier management team and excellent reputation get you only the best staffing vendors to work with. We utilize quarterly metrics to review supplier performance based on service level agreements with your needs in mind. Our high standards constantly hold vendors accountable to keep your program running and growing efficiently. Our vendor programs are serving some of the largest, most successful companies in the world with great success. And we can create the same successful program for you. Employment laws can vary from state to state and the employment landscape is constantly changing. 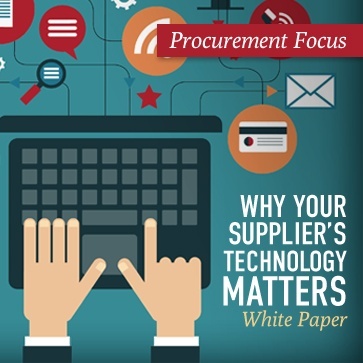 How do you ensure your vendors are keeping up? Yoh is committed to ensuring that every supplier is meeting all of the necessary standards. Whether they are your standards or mandated ones. We utilize supplier audits to review supplier compliance and make certain that each supplier is meeting all contractual guidelines - always. No cutting corners and reduced risk for you. Yoh understands the role diversity can plan in all aspects of business success. 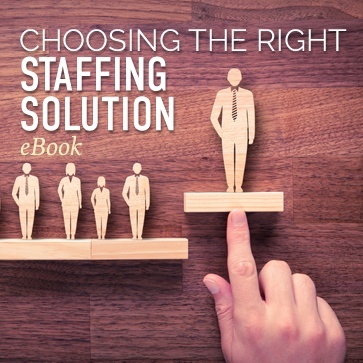 Your staffing supply chain is no different. From diversity goals and mandates to just good business practice, Yoh is committed to providing you with a high-performing, diverse staffing supply chain. Our ability to focus on supplier diversity in a sometimes challenging supplier landscape will turn your diversity woes into diversity wins. We partner with some of the largest VMS tools in the industry to ensure efficiency and effectiveness, and streamline all aspects of the program - from posting a new job through final invoicing. Whether we bring the tool and manage the program or you already have one and manage it yourself, we have worked with all of the major tools. Yoh’s Supplier Relations team is committed to providing our customers with the best suppliers, and the best return on their technology investment. We work hard to build strong supplier partnerships that provide an opportunity for quality staffing partners to succeed. You have access to job openings at some of the most successful companies in the world, and your candidates have great opportunities. We strive to create solid, long-term relationships with our staffing partners – and we have. Many partners have been working with us for more than 10 years. And hey, we know what it’s like to be a provider to other staffing companies – because we are. So, we create programs we would want to be a part of. Our programs are focused on consistent success and growth. We know not every vendor is right for every program. Yoh’s Supplier Relations Team utilizes both pre-screening alignment questionnaires and metrics to assist in aligning vendors with the correct program. And ultimately your performance determines your opportunity. If you are successful, so are our customers, and that’s the ultimate goal. To learn more about becoming a member of our supplier network click here.